In our last edition, frequent-contributor Maria Wu told about her re-positioning cruise across the Atlantic from Fort Lauderdale to Barcelona. Now, as promised, here is Maria’s story about her subsequent travels in Spain. As I related in the last edition of this magazine, we sailed from Fort Lauderdale on 1May this year, crossing the Atlantic Ocean to arrive in Barcelona on 14 May. Our arrival was on a cool sunny day. In Barcelona, we stayed in the strangely-named H10 Marina Barcelona Hotel. This property is within walking distance of the beach and the city centre. It has good facilities which include a gym, a spa and an outdoor swimming pool. It is located near the METRO stop Bogatell. The transportation system in Barcelona is very efficient. It is cheaper and more convenient to buy a METRO pass which provides unlimited rides, including even rides to the airport. 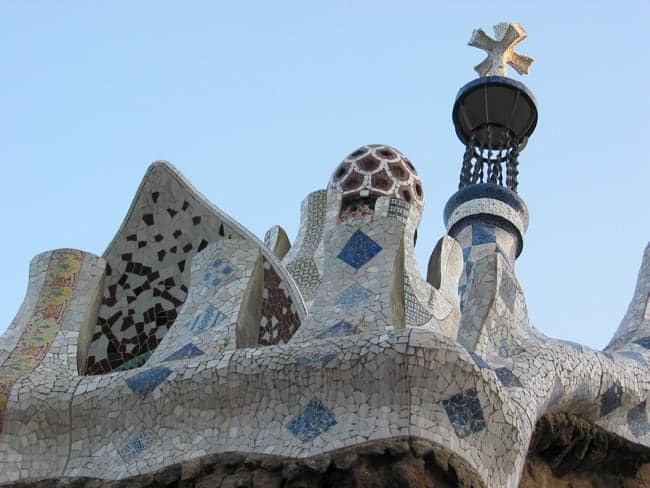 Barcelona is renowned for its architectural buildings and particularly those designed by Antoni Gaudi. Certain sectors of the city have striking Gothic architecture with some buildings going back to Roman times. Before arriving, we purchased tickets for an opera at Gran Teatro de Liceu. The main entrance faces La Rambla and looks like a cinema on the street. Once you step into the foyer, it is rich, majestic and grand, a true belle epoque European opera house. Subtitles in various languages are available on the back of the seat in front of you. It is a definite treat for visitors from New World countries. The opera finished about 8 p.m, just in time to enjoy the ambiance of La Rambla which offers music, fine food and night life. 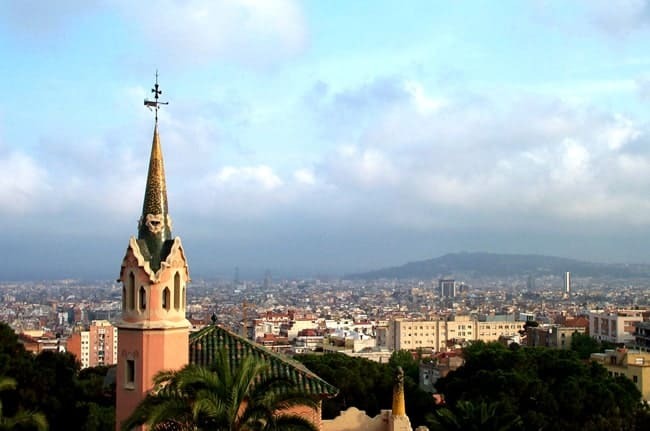 Though I did not hike in Barcelona, I did spend fun time exploring and enjoying the panoramic views from Guell Park, Mount Tibidabo and Montjuic Park. Due to time constraints on my first visit to Guell Park, I returned a second time, arriving at 8 a.m. which gave me time to roam before it was invaded by visitors, tourists and vendors. This park gave a peek into the eccentric genius of Gaudi as shown by the famous ceramic Dragon Fountain and the Hall of 100 Columns. I was also the first visitor of the day at Casa Museo Gaudi where he lived for 20 years. His artifacts are mostly gone but the house is small with some quirky Gaudi furniture. I was amazed at his unadorned bedroom with a tiny bed. In my imagination, he was a giant of a man. Barcelona is full of good food and excellent chefs who cater to every whim. We found a good review for Restaurant Can Pineda at Sant Joan de Malta 55. Equipped with instructions from Mapquest, we took the METRO to the stop Clot on the Redline. From there, it was meant to be a seven-minute walk, but it took us half an hour (and that after asking four separate locals) but we were greeted by a cheerful waitress from Russia who could speak sufficient English and Spanish. Between her and the owner we planned our lunch. The flavours, the aromas, the presentation and the ingredients were wonderful and different for us; we sampled a variety of dishes that struck the perfect balance between traditional cooking and signature cuisine, all using local produce. The service was excellent and even the executive chef came out to greet us. Upon leaving, the owner presented us with a pen with the restaurant’s logo as well as a copy of the menu of the day. This is definitely a ‘must’ when you go to Barcelona. We were sad to leave Barcelona, but we had more travel plans. We flew to Madrid and picked up a rental car at Eurocar. The autovia in Spain is well maintained and during our visit the traffic was light. It was relaxing to drive and allowed us the opportunity to enjoy the beautiful countryside where the soil was different hues of red with lots of olive plantations. We discovered we could not rely on Mapquest.com to help us with directions so when we arrived at our destination – Toledo – Arthur hired a taxi to lead us to Frontecruez Palacio Eugenia de Montijo inside the old city. Then our rental car sat in the garage while we explored Toledo on foot. At the hotel, I picked up a traveller gazette, the Gaceta del Viagero, written in English. There was an article on “The Green Path” that provided step by step instructions, descriptions and pictures of a trail that started under the San Martin Bridge. The trail ran along Rio Tajo and is used by locals day and night. With a good map and using the Cathedral as your landmark you can discover Toledo at your own pace. For me, I left the trail, went up then down to follow further along the river until I came to Alcantara Bridge. Then I came across the Museo de Santo Cruz where the current exhibit featured a Spanish artist, Benjamin Palencio.